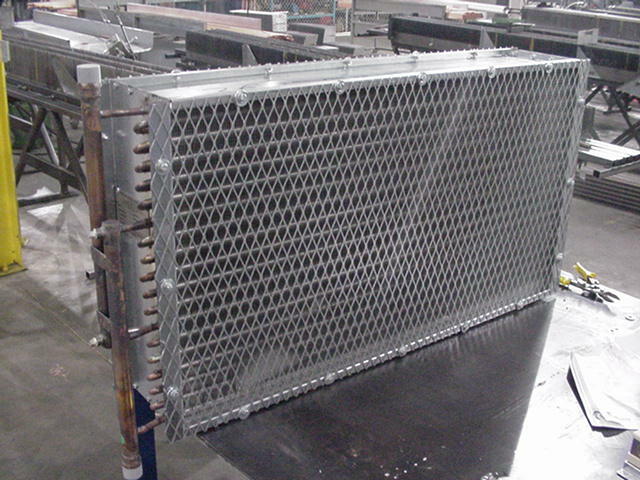 Universal belt guard aftercoolers with standard models for cooling reciprocating compressors featuring OSHA approved belt guard with galvanized steel casings and expanded metal for personnel protection. Note: *Upon request, various connectors and configurations are available. 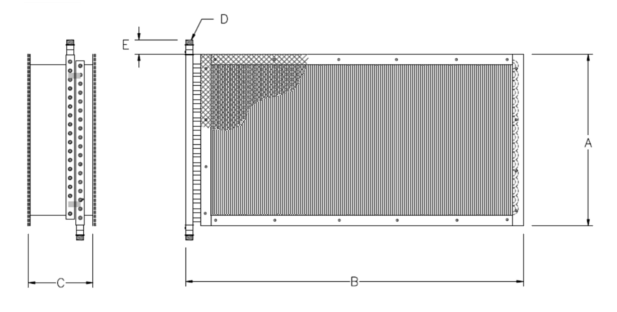 ABG Series aftercoolers are to be mounted on the compressor in place of a standard belt guard. Proper installation requires cutting of rear grill to fit motor pulley and compressor flywheel. Periodic cleaning of the fin section can normally be done by blowing off accumulated dust and residue. No other maintenance is required. Stainless steel braided corrugated hose protects core from compressor vibrations. (Must be properly installed to validate warranty). Combination separator with automatic drain trap may be installed between aftercooler and receiver to remove condensed moisture from compressed air stream.